The Cowardly Lion includes a one-piece jumpsuit with attached tail and character headpiece. Lion is a symbol of courage and supreme leadership. Jungle party begins with all animals and Lion should be the leader of everyone. Let the big cat roam freely today in your costume party. This will not give you goose bumps but you will get all attention in the party. Men loves to experiment with costume look every year. 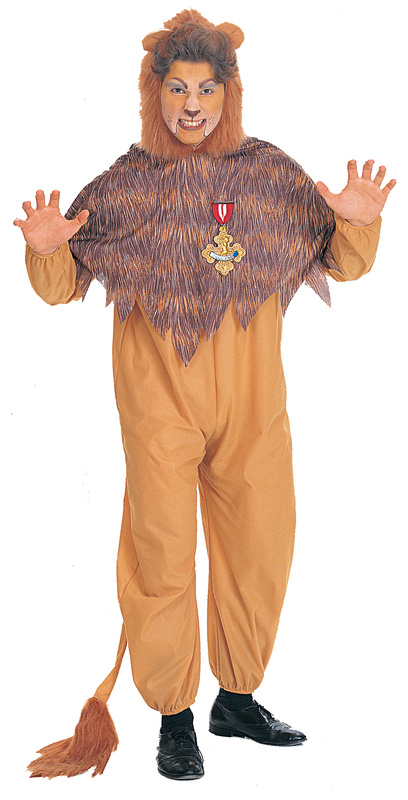 Get the perfect attitude and look in The Wizard of Oz Cowardly Lion Adult costume.